We are excited to announce further expansion in our presence in Europe with the hiring of Christian Blunschi as Technical Account Manager. Christian has more than 20 years experience in Information Technology and supply chain software solutions, most recently at Lenovo assisting enterprise-level customers with client deployments. Prior to his stint with Lenovo, Christian was the 2014 Global Sales Engineer of the Year at Wavelink. StayLinked’s continued growth comes in response to rapidly increasing demand for StayLinked products in Europe, where companies are continuing to migrate from legacy Terminal Emulation to the reliability and security of the StayLinked architecture and SmartTE application modernization. 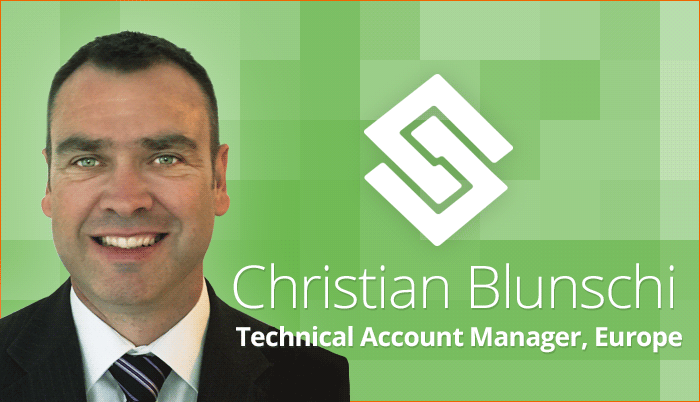 Christian's responsibilities as Technical Account Manager include increasing StayLinked’s collaboration with channel partners, device manufacturers, and application providers. Christian will also play a vital role in client services, technical training, and customer project management. "We are very excited to expand our European presence," said Padraig Regan, StayLinked General Manager, Europe. "And we are fortunate to add Christian to the European team. His experience with Terminal Emulation solutions is well-known and respected in the industry and will prove invaluable in increasing StayLinked’s growth in the region." Blunschi is an experienced sales engineer that understands the complexities of software development, integration, migration and deployment for enterprise-level customers. Now based in Zurich, Switzerland, Blunschi has also worked in Asia and Oceania playing an integral role in the development and implementation of new products for major retailers.